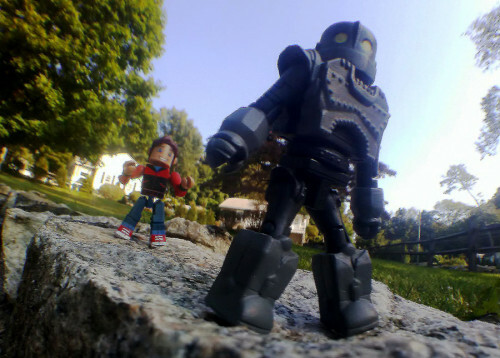 Ask DST #367: Marvel Select, Models & Minimates! It’s a new Ask DST with Diamond Select Toys president DSTChuck, and this week it’s all about Marvel! Questions about Marvel Select action figures, Marvel model kits and Marvel Minimates all get answered this week! If you don’t see your question answered below, submit it in the drop-down form above, or e-mail DSTChuck! Is it possible to see a new model with X-Men (Jim Lee style) in the next year or in the future? DSTChuck: We’d LOVE to do more model kits after Deadpool, but the sales folks have not been able to find enough avenues for them. 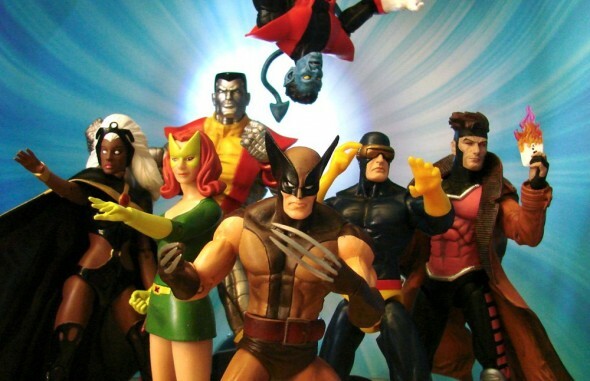 If you mean new models of Marvel Select action figures or Marvel Gallery PVCs, then Jim Lee-style X-Men are definitely possible! Hi DST! I’m a big fan of your figures, and I was wondering with the upcoming Edge of Venomverse, if you guys will release any new symbiote, like Mayhem, Toxin, Hybrid, or the Life Foundation Symbiotes (Scream, Riot, Agony, Phage, Lasher) or maybe a reprint of Ultimate Venom figures! I’d love to see more symbiotes in the collection! And the Venom movie in 2018 will help to sell these figures, symbiotes are quite popular today. DSTChuck: We have noticed that new storyline, so we’ll have to see where it goes. Are you ever going to make a Marvel Select Marcus the Werewolf Centaur Symbiote Figure? DSTChuck: I am sorry to say that has not been considered. Will we have a Thanos Black Order figure? DSTChuck: Honestly, at this point I’m not 100% sure what we will be able to do with Avengers: Infinity War yet. Hello! I know this has been asked several times now… but I really want to hear from you guys. Will there be a Tom Holland/ Spider-Man Homecoming unmasked head? Or GOTG Vol2 movie Starlord unmasked head? (I was really hoping the unofficial images leak was real, though) Also, any chance we will have an Iron Spidey movie figure, too? Or scarlet suit maybe? DSTChuck: We would like to do an unmasked Tom Holland figure at some point, but we’ll see how approval goes. There are no plans at this time for a maskless Starlord head, though. Are there any future plans to create Hulk’s hulked-out version, Kluh? DSTChuck: Not at this time – 2018 is not all set up yet, but I do not think it will happen in the near future. I just wanted to make a request if you can create/produce an Apocalypse and Beast from X-MEN. PLEASE PLEASE PLEASE. DSTChuck: I am sorry to say that due to its limited nature Select can’t really be a team-building line, but we do keep track for Minimates, which is what I think you’re talking about. No AoA characters are planned at this time, but never say never. Would you consider re-releasing some of the older (less available) Marvel Selects (i.e. She Hulk, Uatu the Watcher, Mephisto, among others)? DSTChuck: If sales convey demand to us, then yes, just about every figure can be considered for re-runs. Although, sadly, some of the ones we have done in the past are no longer feasible due to costing. 1. How come you didn’t make any figures from Logan? 2. Will we be seeing any more comic versions of Thor? 3. And will there be a Thanos from Infinity War?? 4. Also, another doctor octopus or scorpion should be considered since the only doc of you made is old and really rare. 1. Sorry, but we no longer make figures or products for the Fox-based movies, it’s just not something we can manage in a realistic way. 2. 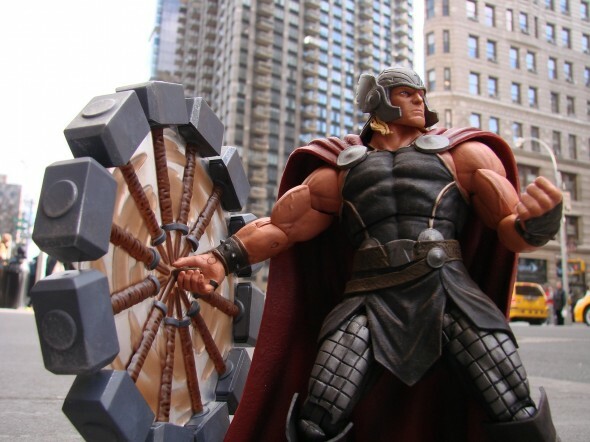 The Mighty Thor figure will be returning soon, but no new comic Thor is planned at this time. 3. As for Avengers: Infinity War, there are SO many characters possible that I have no idea what we are going to do, but we have to decide very soon. 4. We always consider Spider-Man and Spidey villains. Submit it in the drop-down form above, or e-mail DSTChuck! Next Up: On Sale This Week: Caddyshack, Nightmare and the Iron Giant! Ask DST #380: Marvel Select and Gallery! Ask DST #372: Marvel Select! Ask DST #340: Marvel Select!